Squirrel has large beaded eyes and, as you would expect, a big bushy squirrel tail! 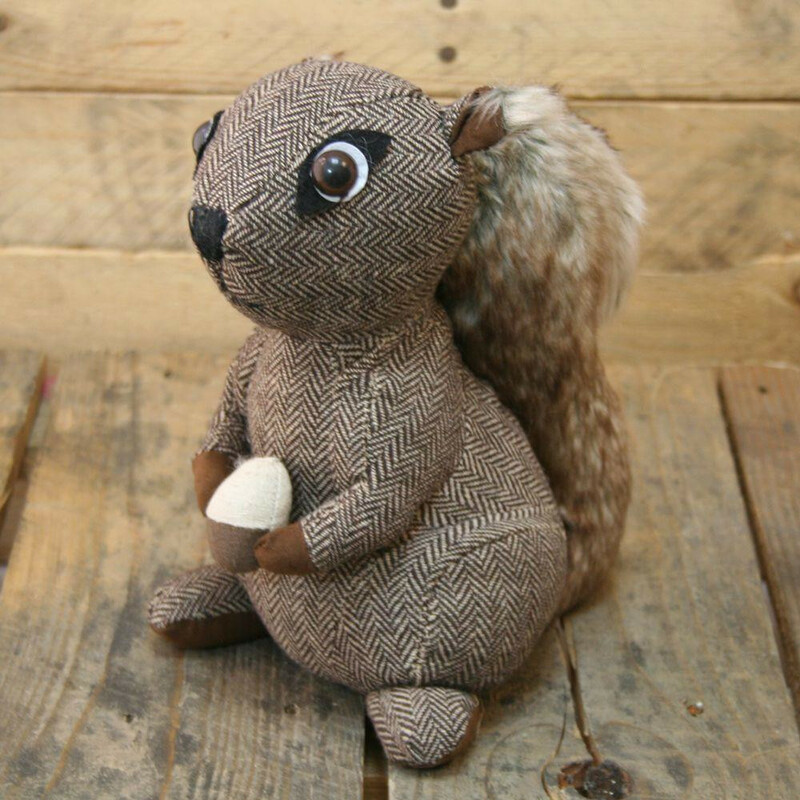 Squirrel has hairy ear tufts and is tightly holding on to a treasured nut! This little fellow has been very busy and has a treasured nut to show for his efforts! Full of charm and character this squirrel doorstop features a super soft multi tonal bushy tail.